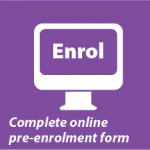 There will be times when you may not want to enrol in a full qualification and just need to complete one or two units from the Community Pharmacy qualifications to increase your skills or take on a new role in the pharmacy. You may need to complete the dispensary units so that you can take on the role of dispensary assistant or you may need specialist skills in recruitment, stock control or product knowledge. 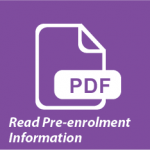 Individual units also provide the benefit of completing an accredited and nationally recognised unit without having to undertake a full qualification. Units completed may be credited towards a full qualification in the future. Simply review the list of units available in each of the community pharmacy qualifications and select those that will help consolidate your role in the pharmacy. Please note that some unit may have pre-requisite requirements and you may need to enrol and complete multiple units. This is a single unit of study and must be completed within 2 months. The time required to completed may be reduced depending on the level of experience and knowledge of the learner. These units are delivered via workbook and completed whilst working in a community pharmacy. A verbal assessment with a Guild Trainer and a supervisors evidence report will also be required.